Zvex has an amazing array of boutique effects pedals. ZVEX pedals uses extremely high quality components and pays attention to every aspect of their pedals. Pedals are even hand painted pedals and look as good as they sound. No two had painted pedals are exactly alike. If your'e serious about your sound you have to try a ZVEX. 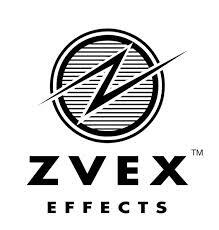 We're an authorized Zvex dealer, we even carry custom and limited edition effects pedals. If you don't see what you're looking for please drop us an email or give us a call for current inventory.